Nestled between Panama and Nicaragua sits Costa Rica, a small tropical country in Central America. Right in the center of this land mass sits the capital, San Jose. With a population of only 288,000 people, it is one of the least crowded nation capitals in the world. And who goes there? Lots of tourists! Why? Because it is beautiful, safe, and affordable. Costa Rica is also one of the most mature dental tourism destinations in the world rivaling Thailand and Mexico for cost, quality, and ease of access. Costa Rica is unique. It is so different for so many different reasons. Here are a few: Over a quarter of the land is dedicated to conservation. Tourism is the country’s leading foreign exchange earner. Costa Rica is home to four UNESCO World Heritage Sites. Costa Rica is one of 23 countries in the world that doesn’t have a standing army. It has one of the highest life expediencies in the world. There are over 200 volcanic formations in Costa Rica. Costa Rica is home to more than 5 percent of the world’s biodiversity. Costa Rica ranks number one in the Happy Planet Index (2009 & 2012). The list goes on. The point is, for this country that is slightly smaller than Lake Michigan and didn’t use street signs until 2012, the upside is immeasurable. It is amazing in this proverbial tropical paradise that dental care is also first-rate. 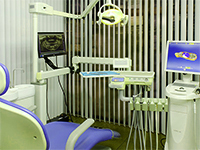 San Jose is one of the world’s premier destinations for dental tourism. 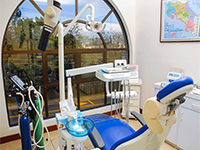 In fact, dental tourism is booming in Costa Rica owing to its close proximity to the US and Canada. It boasts an impressive body of well-trained professionals in all of the health sciences. Costa Rican dentists don’t give anything up to their North American peers. 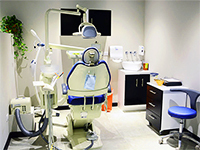 Dental training and care meets international standards in all the metrics, including crown, bridge, veneers, cosmetic, and implants. San Jose is a cultural capital, comprised mostly of European descent and architecture. It is the fifteenth fastest growing tourist destination in the world. San Jose is one of Latin America’s safest cities, which makes it even more attractive as a treatment spot. It is served by two international airports, Juan Santamaría International Airport (SJO) and Tobías Bolaños International Airport (SYQ). A modern transportation system including trains and buses crisscrosses the country, so it is easy to get around. The cuisine in San Jose is simple, wholesome, and affordable, owing to its Latin American roots in staples such as beans, rice, tomatoes, meat, and tortillas. Inexpensive meals can be found throughout the country in local and roadside cantinas; however, the city of San Jose also offers a more cosmopolitan bill of fare for the more discriminating palate of the gourmet. You can find a wide range of exotic international restaurants around the city. The climate of Costa Rica is tropical; however, it is more mild in San Jose owing to its inland situation and a higher altitude. This makes for cooler summers and very mild winters, although humidity is always rather high. Newcomers are often pleasantly surprised at the lack of swelter that they normally encounter in other Latin American countries. Of course, for anyone wanting to escape the harsh winters of North America, San Jose can be considered heavenly. With plenty of theatres, museums, parks, plazas, and a zoo, San Jose can be considered a rich cultural destination with plenty to do and see throughout the year. If the outdoors is more your calling than the will call window at the concert, then San Jose has you covered. Environmental tourism overtook Costa Rica’s banana production in dollars produced long ago. People cannot get enough of hiking the rain forest and seeing the home of the densest population of butterflies and hummingbirds in the world. Add to that the sloths, the toucans, and the exotic tree frogs, and you can witness a dazzling menagerie right before your eyes. The predominant language of Costa Rica is Spanish, although more than 10% of the population speaks English, including most of the dental treatment providers. Costa Rica has been ranked as one of the healthiest nations in the world, with an average life expectancy higher than the United States. Rivaling its eco-tourism is its medical tourism. More than 150,000 tourists visit Costa Rica each year for some type of treatment because of the ease of access and low cost of care.